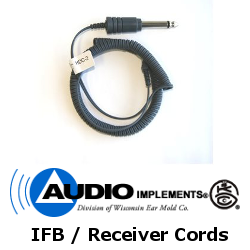 Shop Audio Implements for Audio Implements Audioclarifiers, Audio Implements IFB Cell Phone Accessories, Audio Implements IFB / Receiver Cords and Audio Implements Transducers. 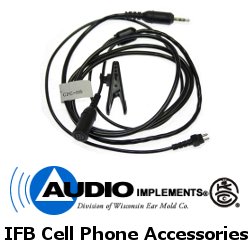 Audio Implements/GKC, LLC is a small business located in Waukesha, Wisconsin, a suburb of Milwaukee. 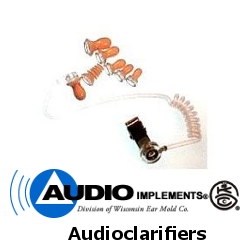 We invented this ear piece and have manufactured it since 1967. 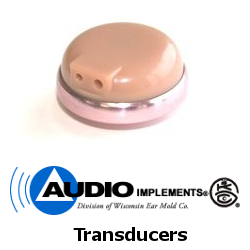 All major television networks use our products and have for many years. We hope to have the opportunity to serve you. We strive to provide our customers with the absolute best service and products possible.